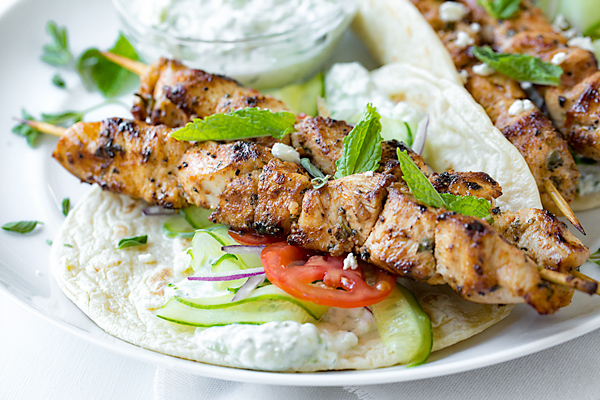 Succulent and savory, these chicken kebab wraps, with a generous dollop of creamy and refreshing homemade tzatziki sauce, are a healthy, light and fresh meal, irresistible and simple to prepare. Whether you call them chicken kebabs or chicken kabobs, they taste great when all wrapped up. And boy do I love a good wrap, especially one that contains within it those deliciously charred flavors found in a grilled chicken kebab recipe all smothered in a cool and tangy tzatziki sauce, the perfect partner. To get a juicy, succulent kebab, chunks of chicken are bathed in a simple marinade of good olive oil, lemon juice, a bit of fresh oregano and lots of garlic, then skewered and grilled off to golden perfection. 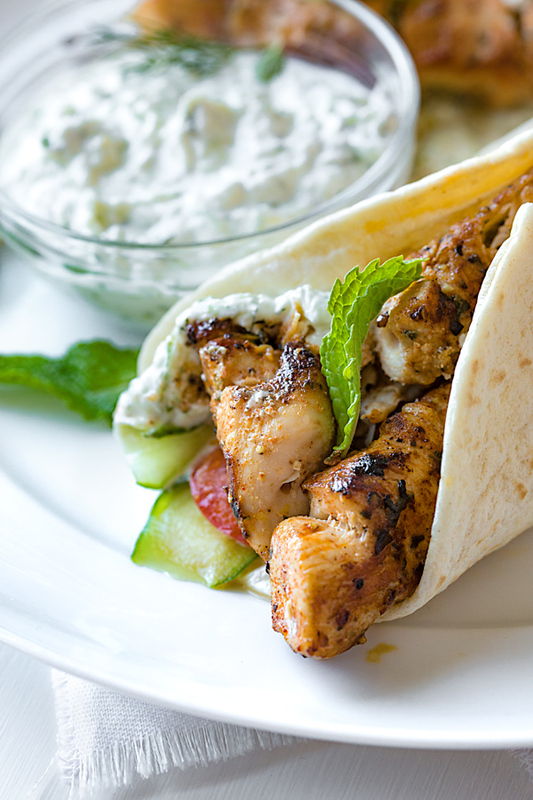 And with thinly sliced cucumber, juicy tomato, and sweet-n-spicy red onion, all wrapped up together in a warm pita or flatbread (and drizzled with that cool tzatziki, of course), you’ve got a simple and healthful meal packed with tons of color, texture, and flavor! Tzatziki sauce is a simple yogurt based sauce made with finely grated cucumber, garlic, a hint of lemon, and some vibrant and fresh herbs—dill, parsley or mint, or perhaps even a combination of all three if you’d like to get bold. 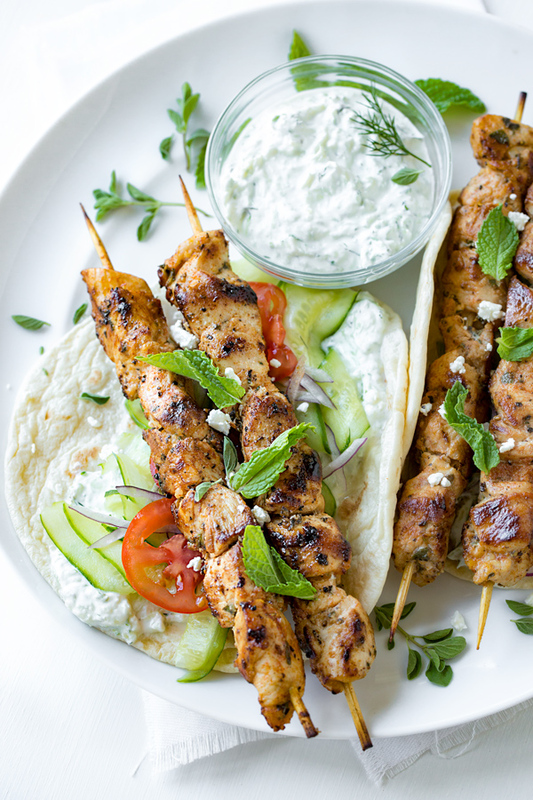 It’s the cool, creamy element that pairs so deliciously with the warm, fresh-from-the-grill aspect of a chicken kebab—it’s the match made in mediterranean food heaven. Easy to prepare, this sauce is whisked together super quick, and makes for a tangy and cool topper. Time to get all cozy and wrapped up in this savory chicken kebab wrap with easy tzatziki sauce, an ideal lunch or dinner pick with all of those mouthwatering and fresh flavors you crave, made simple with delicious ingredients that hit all the right notes. Soak your bamboo skewers in water: To keep your bamboo skewers from burning, give them a little soak in some water for a few minutes before threading the chicken. Marinate for extra flavor: Marinate your chicken for at least 20 minutes. But for extra flavor, go longer, even overnight. Prep ahead of time for convenience: When you make/marinate your chicken kebab skewers the day before and keep them in the fridge, they’ll be ready for grilling when your ready. You can make your tzatziki sauce ahead as well. What to do with leftover tzatziki sauce: Use this tasty sauce as a dip for veggies or even potato chips! You can even use it as a dressing for some greens. It keeps well for a few days (covered) in the fridge. These savory and healthy wraps are filled with tender and juicy marinated chunks of grilled chicken breast, then drizzled with a cool tzatziki sauce and wrapped up with fresh greens and veggies. -Add the chicken pieces to a large bowl along with a couple of tablespoons of the olive oil, plus the rest of the ingredients up to and including the chopped oregano leaves, and allow to marinate for about 20 minutes, or even overnight, if doing ahead; once marinated, thread the chicken equally onto 8 bamboo skewers (that have been soaked in water for a few minutes). -Heat a grill pan over high heat, and once hot, add in a few of the chicken kebabs and grill on each side until golden-brown, juicy, and cooked through, roughly 10 minutes total; allow to rest for several minutes. 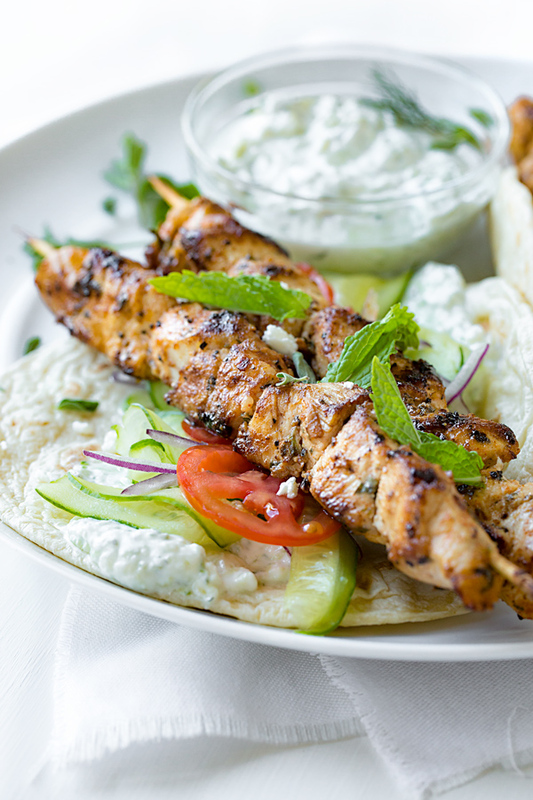 -Assemble your wrap by spreading a generous amount of the tzatziki sauce over the pita or flatbread wrap, then add some sliced cucumber, red onion and tomato, followed one of the grilled chicken kebabs (slide the chicken off the bamboo skewer and onto the wrap); sprinkle over a bit of feta cheese, if using, and a light sprinkle of fresh herbs. Love these type of cool dishes. Tzatziki is fresh and delicious. Great menu. Love it. Thanks for sharing. Qué delicia! Todo me fascinaque sabores!! Chicken wraps look so good. 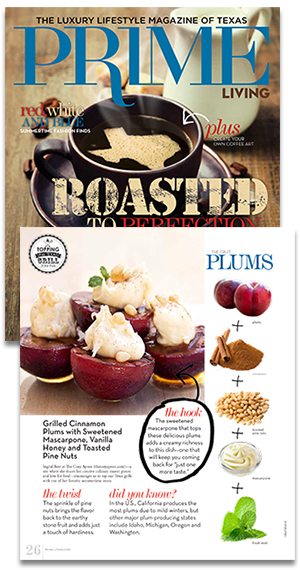 Have to make these. Linda, I hope you do!